"Anchor Montage Personal Checks" product is already in your cart. 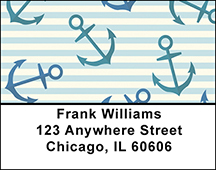 The Anchor Montage Personal Checks show you anchors and ship's wheels on a plain backdrop.Â If you're a nautical junkie you will enjoy these checks, at a savings of up to 70% off bank prices! Bring your love of the water to life each time you open your checkbook, with the Anchor Montage personal checks. Don't forget to view our matching labels and coordinating checkbook covers to complete your order today.